Nibble Celery and Peanut Butter off Arthur's Face! Arthur is among the few kid shows I still feel okay watching. It's wholesome, square and enriched with feel-good lessons. 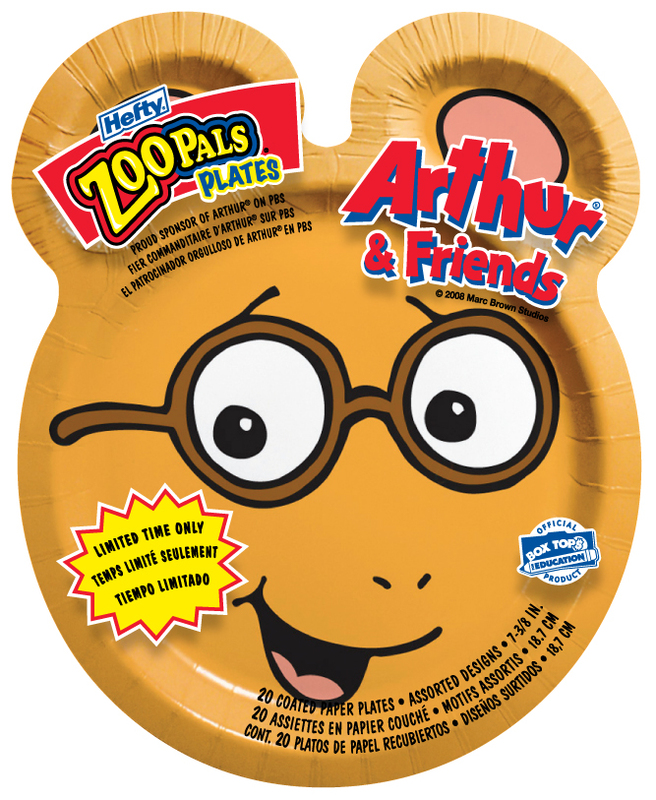 Anywho, CVS and Hefty licensed Arthur's name and likeness to promote products, like the charming paper plate at left, to kids (and possibly nostalgic quarter-lifers). One plate by itself is friendly enough, but check out this disembodied constellation of Arthur characters, all ready to bear slices of cake on their noses. It's unsettling. You know how Stamps.com lets you turn photos into stamps? I bet one day Hefty'll do that with paper dishware. Why eat off a fictional acquaintance when you could be scooping peanut butter out of Kid Sister's right earlobe? 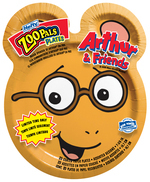 I love the Arthur & Friends plates -- and could use them at a library fundraising event this Thursday. Do you know what stores are carrying them? You can get them at a CVS pharmacy, or probably anywhere that sells lots of Hefty products.